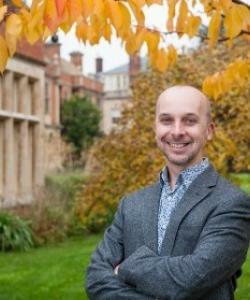 This week we’re delighted to have Dr Simon Kemp, Associate Professor of French at Somerville College, Oxford to the OUP MFL blog as our guest blogger. How can you best bring language and literature teaching together? On literature-heavy undergraduate courses like the one that I teach, there’s a danger that students feel they’re studying two parallel courses: one in target-language skills, and one in literary and cultural analysis, which brush only lightly against each other. Finding interesting ways to connect the two halves together is a constant challenge. Now that literature is back with a vengeance on the A Level curriculum, the same challenges – and opportunities – are there in the sixth form. How do we make the most of them? But I’ve also noticed how little details of the text can sometimes open up broad questions that connect up language and literary study. Take the famous opening sentence, for instance: ‘Aujourd’hui, maman est morte’. Was that ‘mum’ who died? Or was it ‘mother, ‘mummy’, ‘mama’, or something else again? It’s a simple question, but it can only be answered by taking into account a wide range of factors. You need to consider the historical period in which Camus lived and the style in which he wrote. You need to consider the social background, personality and voice of Meursault as narrator. And, of course, you need to consider the less-than-warm relationship that Meursault as a character had with his mother. Meursault’s voice can also lead students into the grammar of verb usage in the novel. The oral, conversational impression given by the choice of the passé composé over the passé simple vanishes when you translate a passage into English, which has no such distinction in verb usage. How might students compensate for this loss? Are there other ways to make a translation sound like spoken English? It’s through verb tenses too that we can unlock the novel’s extraordinary sense of immediacy. Through subtle jumps in time, Meursault keeps his storytelling moment close to the time of the action. ‘Je prendrai l’autobus à deux heures’, he says on the opening page, followed by ‘j’ai pris l’autobus à deux heures’ a few lines later. By identifying tense usage and tracking these sudden changes, it’s possible to work out the points from which the story is told, and from there to explore Camus’s motivations for using a storyteller who doesn’t yet know how his own story will end. These are the kind of language and content connections that are highlighted in the literature companions (for French, Spanish and German and in the schools’ Adventures on the Bookshelf blog I curate for the Oxford Modern Languages Faculty. I hope some of my blog entries can be useful in facilitating an integrated language and literature course. Dr Simon Kemp is Associate Professor of French at Somerville College, Oxford, and Schools Liaison Officer for the Oxford University French Department. He teaches French language and literature, with particular interests in the modern French novel, translation studies, and psychological literature. He is passionate about the importance of modern languages at all levels of UK education and regularly speaks or hosts language workshops at secondary schools.